FORTUNE -- It's not often that opportunity arrives in the form of a federal indictment. But that's exactly what's happened in the world of online poker. Online poker is currently illegal in the U.S. and, as a result, the $6 billion industry has developed overseas, catering to the wishes of millions of Americans playing from their homes in Ohio, California, Mississippi and every other state. That's crazy. 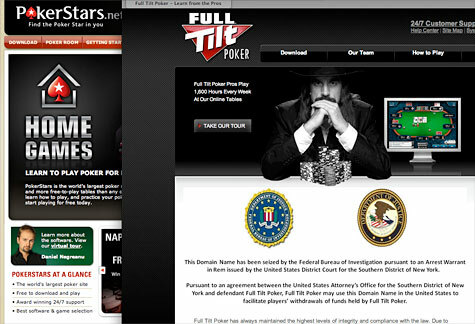 Earlier this month, the federal government cracked down on foreign online poker operations -- the FBI charged 11 people with fraud, including the founders of PokerStars, Full Tilt Poker, and Absolute Poker. That move has produced a unique opportunity to bring thousands of jobs home to America, to generate revenues that benefit Americans rather than foreign companies and to bring clarity to the current ambiguous set of federal laws. We should seize the moment. The question we face isn't "will there be online poker?" Millions of Americans have already answered that question through their regular play, and the latest indictments won't change that. In fact, less than 24 hours after the three poker sites were closed, other foreign operators began filling the void. Instead, the question is this: "Should we seize the moment to legalize online poker, permit a safe and legitimate industry in the U.S., and bring those jobs and revenues home?" Unequivocally, the answer is yes. From an economic standpoint, if Congress were to clarify the law on Internet poker, the biggest winners would be the states. That's because the legislation being considered would give states the opportunity to share in the growing global online market, and in so doing, generate millions in new revenues to help prevent tax increases, cuts in education, law enforcement, care and other critical services. One day, we'll look back at 2011 and laugh at the folly of a ban on Internet poker -- just like we now think about Prohibition. The sooner that day comes, the better. Was my sports bet legal?